Usually, when Medicare sneezes, other payers and providers catch a cold. However, despite a recent finding by the CMS that medical homes—a model meant to improve quality of care and lower costs—don't save money at community health centers, administrators at the facilities are sticking with them. Why? Providers at these centers say they are happy with the increases in quality of life patients are experiencing, and some questioned the applicability of the study. "This study doesn't apply to real life" because the study didn't examine the progress of medical homes at the facilities long enough, said Dr. Harry Strothers, who heads Navicent Health's Family Health Center in Macon, Ga., in reference to the RAND Corp. study funded by the CMS. It found that federally qualified community health centers that launched a medical home model over the course of a three-year experiment had patients that gained better access to primary-care services, but at the same time Medicare spending rose slightly. The agency ended up spending $37 more on Medicare Part B care per beneficiary per year under the experiment than before the model launched. Community health center officials still support medical homes despite evidence that they don't save money. "That was a disappointing finding," said Justin Timbie, lead author of the study and senior health policy researcher at RAND. The CMS "was hoping to at least recoup the care management fees they paid out, and that didn't even happen." Clinicians and payers for years have been implementing the medical home model, which is team-based and anchored by primary-care providers and can include nurses, social workers and a care manager. They all work together to make sure patients are getting their medical needs met and are avoiding or adequately controlling chronic illnesses. Under the approach, provider practices receive a monthly fee from either the CMS or an insurer in an effort to encourage better care coordination. The agency paid out $18 per beneficiary per month in incentives for better patient care, which equaled $45 million in payments by the end of the experiment, according to the study. But community health center officials questioned the study's conclusions and said it should not be used to write off the potential benefits the models can provide to patients. Medical homes offer team-based care led by primary-care providers, designed to improve coordination of services. For instance, most of the community health centers studied were not officially certified as a patient-centered medical home by the National Committee for Quality Assurance until toward the end of the demonstration. Previous studies have shown that savings under the models don't kick in until four or five years after certification, according to Strothers. It can take that long to truly affect healthcare utilization for people with severe chronic conditions such as diabetes, Strothers said. Also, Medicare patients tend to make up a small amount of a health center's patient population, averaging less than 20%. Most of their patients tend to be Medicaid beneficiaries. The study also didn't take into account that there were more baby boomers joining Medicare each year of the experiment, and that this population tends to have a high level of social determinants impacting their health, according to Brian Toomey, CEO of Piedmont Health Services, a system of 10-community health centers based in North Carolina. Piedmont Health participated in the demonstration studied by RAND and has continued the medical home model not only for its Medicare patients, but for everyone it sees. "When you have only fee-for-service, then the whole focus is on increasing revenue," Toomey said. "This approach ensures that the focus is on the care of the patient." Sticking with the model has actually led to savings for Medicare even though Piedmont no longer receives a case management fee from the CMS. In 2016, eight of the system's health centers that have patient-centered medical home certification had a per member per year cost of $9,189, nearly $700 less than the national fee-for-service cost of $9,875. 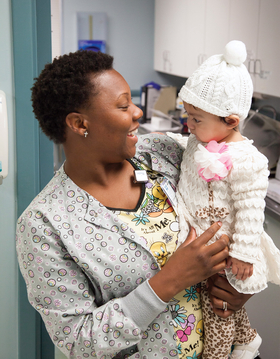 Community health centers are playing an important role in the national health system. 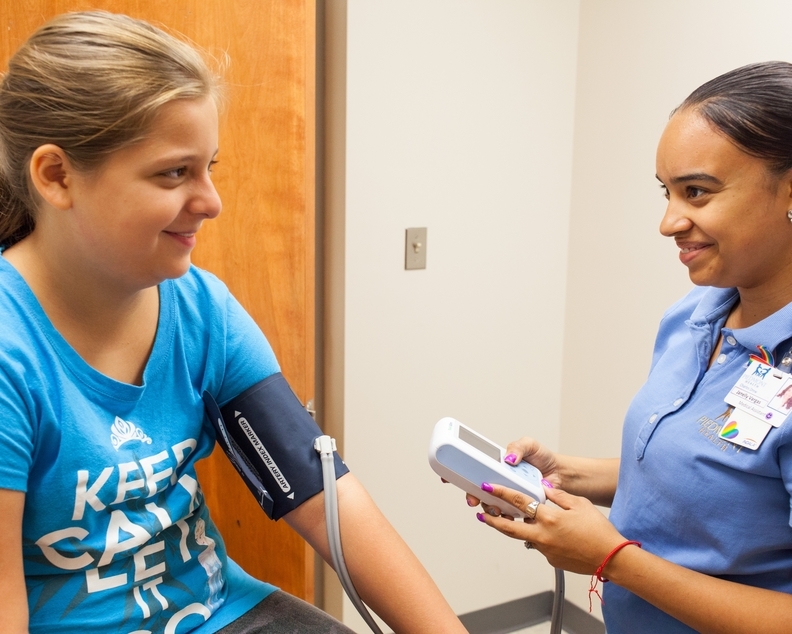 In 2015, 1,375 health centers provided care to 24.3 million patients, including 1 in 12 U.S. residents and nearly 1 in 6 Medicaid enrollees, according to research by the Kaiser Family Foundation. Velma Hendershott, CEO of InterCare, a Michigan-based network of community health centers, said she is also sticking by the model after being involved in the demonstration because she sees that it is especially beneficial for the type of patients that come to centers like hers. More than 90% of health center patients have income at or below 200% of the federal poverty level, which is $40,180 for a family of three, according to the Kaiser Family Foundation study of 2015 data. Community health center patients also tend to have an array of chronic illnesses and behavioral health conditions, Hendershott said. These patients often don't know the best way to navigate all their care needs. To that end, her facilities work to have providers that address primary-care needs as well as some specialty services. "It's kind of like one-stop shopping," Hendershott said. "Now, when we need to refer a patient to someone else, they can go right to that person and that doctor doesn't have to worry if that patient got the care they needed or not." While RAND's study indicated no savings were harvested from the model, evaluations and case studies for other payer and provider settings have shown some savings were achieved for other patient types treated in medical homes, according to Cristina Boccuti, an associate director of the program on Medicare policy at the Kaiser Family Foundation. A July 2017 analysis by the Patient-Centered Primary Care Collaborative (See sidebar, p. 22) found that a medical home overseen by Blue Cross and Blue Shield of Michigan did indeed reduce spending. Its program began eight years ago and includes 4,534 primary-care doctors at 1,638 practices. Since the model's launch, practices participating have generated savings of $26.37 per member per month in adult medical costs. "The medical home model of care can work," Boccuti said. As healthcare spending continues to skyrocket, medical home models could be key to reversing the trend, according to Dr. Robert Winn, who oversees the University of Illinois Hospital & Health Sciences System's 13 federally qualified health centers. In 2015, U.S. healthcare spending rose 5.8% to $3.2 trillion, or $9,990 per person. That trend was likely driven in part by millions of people who gained coverage under the Affordable Care Act but didn't know how to properly navigate their care options. A medical home helps people figure out what services they actually need, Winn said, and who can best provide them. "The best person to help you get to the ideal health outcomes is a doctor who you trust." Related story: "Medical homes need time to deliver results"